Xi’s latest remarks on cyber tech hint that Beijing remains determined to push foreign firms out of the Chinese market. When Chinese president and Communist Party chief Xi Jinping gave a speech on cybersecurity and information technology last month, international media noted that even as Xi called for greater tolerance of online criticism, censors were restricting Chinese internet users from posting negative comments about his remarks. However, foreign reporters overlooked other important points in the April 19 speech, including hints that the Chinese government will be intensifying its efforts to reduce foreign—and especially American—involvement in China’s IT sector. Meanwhile, party officials continue to punish or silence critics of Xi and the central government, including dissenting party members. Less than two weeks after Xi’s address, it was reported that real-estate mogul and social-media commentator Ren Zhiqiang was being placed on probation for one year, an apparent reprisal for his online rebuttal of Xi’s hard-line February speech on media policy. However, after the passing reference to greater tolerance, Xi dedicates much of the April 19 speech (14 paragraphs) to the need for China make quick “breakthroughs in core technology” and strengthen the presence of indigenous Chinese products in related fields. The term “core technology” is not clearly defined, but Xi says it includes “asymmetric” and “disruptive” technology. At one point, in a passage replete with military metaphors, Xi refers to certain American companies—Microsoft, Intel, Google, and Apple—as “backbone enterprises” with a “coordinated impact” that Chinese companies and state enterprises should strive to overtake by joining forces. Xi does not call for foreign technologies and expertise to be completely shut out of China. In the final section of the speech, he notes in unusually candid fashion that China is suffering from a grave “brain drain,” and urges technology firms to build “talent structures” that can recruit experts from many countries and draw Chinese expatriates back home. Nevertheless, the thrust of the speech matches a broader pattern in which Beijing has sought to exclude foreign companies and technology and promote Chinese alternatives, wherever and whenever it becomes feasible. The push for self-reliance seemed to gain urgency after Edward Snowden’s 2013 revelations of American cyber espionage activity, but it is hardly new. Analyst Bill Bishop noted this undercurrent in the speech, warning in his Sinocism newsletter that “U.S. tech firms should be under no illusions that there has been any change in the long-term agenda to de-Americanize China’s IT stack.” Indeed, days before the address, Apple’s iBooks Store and iTunes Movies applications were shut down in China, only six months after they had been launched with government approval. Shareholders and employees of global, and especially American, technology firms should take heed of Xi’s words. 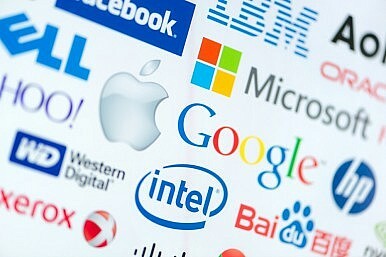 The speech indicates that U.S. technology companies are unlikely to make serious headway in the Chinese market under the current political leadership. Far from laying the groundwork for future expansion in China, acts like promoting Xi’s book of quotations, partnering with the Chinese government to improve surveillance capacity, or hiring former Chinese military engineers may simply make U.S. tech industry leaders appear foolish in light of Beijing’s stated goals. Such behavior also conveys a message of abandonment to Chinese internet users inside and outside the country who share Silicon Valley ideals of openness, free expression, creativity, and global communication. Beyond the toll on foreign firms, internet users inside China are also clearly harmed by the kinds of restrictive, inward-looking policies their government is pursuing. They are unable to enjoy a range of convenient and cutting-edge international services, excluded from the global online community, denied privacy from the prying eyes of Chinese security agencies, and left without the benefits that might arise from real competition between Chinese and international companies. Over time, cutting off Chinese users, developers, and entrepreneurs from global tech giants like Apple could also harm the broader national economy. Despite these potentially negative domestic implications, the speech is unlikely to generate the kind of internal backlash that followed Xi’s media policy speech in February. Instead, the backlash is more likely to come from abroad, as the space for foreign companies in China’s lucrative tech sector continues to shrink in the face of arbitrary regulation and website blocking. Perhaps that is one reason why the English-language report on the speech by the official Xinhua news agency—which formed the basis of most initial foreign media coverage—downplayed these aspects of Xi’s remarks. China is trying harder than ever to push for its version of a future internet.